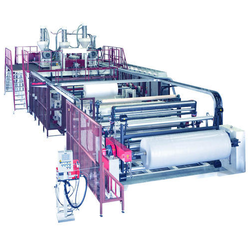 Pioneers in the industry, we offer stretch film making machines and air bubble sheet machine from India. 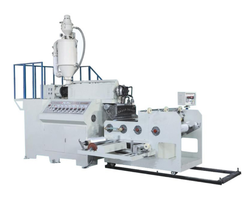 Offered by us is a qualitative range of Stretch Film Making Machines to the valued patrons. Offered film making machine is a master product that is manufactured by making use of optimum grade raw material that is procured from the most accredited vendors of the industry. Higher in utility, this range finds varied applications in various spectrum of industries. In addition to this, our range includes diverse customization sizes at market leading prices. With assistance from highly trained and knowledgeable professionals, we are engaged in offering a huge range of Air Bubble Sheet Machine. Our offered machine is manufactured keeping in mind the industry norms by using advanced techniques. Furthermore, this machine is known for its user-friendly nature & performance. Offered machine is available in numerous specifications to choose from. Looking for Film Making Machines ?